This study aims to determine the effect of undergraduate education of food and beverage management on the knowledge level of students regarding food safety. The knowledge of students (n=145) regarding food safety was evaluated by comparing with control group (n=60). The study found that the knowledge of students in food and beverage management regarding food safety was significantly higher (p<0.001) than control group. In addition, the knowledge levels of female students (p<0.001) and the students who had vocational training in high school (p<0.01) were high; however undergraduate education is important and effective in filling this gap. Having food safety education in high school and university is more effective in increasing the knowledge level (r=0.427, p<0.01). Therefore, employing managers who had academic education regarding the sector can contribute to improve food safety conditions. Baş M., Yüksel M., Çavuşoğlu T. (2007). Difficulties and Barriers for the Implementing of HACCP and Food Safety Systems in Food Businesses in Turkey. Food Control, 18(2), 124-130. Baş M., Ersun A.Ş., Kıvanç G. (2006a). Implementation of HACCP and Prerequisite Programs in Food Businesses in Turkey. Food Control, 17, 118-126. Buccheri C., Casuccio A., Giammanco S., Giammanco M., Guardia M.L., Mammina C. (2007). Food Safety in Hospital: Knowledge, Attitudes and Practices of Nursing Staff of Two Hospitals in Sicily, Italy. BMC Health Services Research, 7 (45), 1-11. Çakıroğlu F.P., Uçar A. (2008). Employees’ perception of hygiene in the catering industry in Ankara (Turkey). Food Control, 19, 9-15. Gomes-Neves E., Araşjo A.C., Ramos E., Cardoso C.S. (2007). Food Handling: Comparative Analysis of General Knowledge and Practice in Three Relevant Groups in Portugal. Food Control, 18, 707-712. Henroid D., Sneed J. (2004). Readiness to Implement Hazard Analysis and Critical Control Point (HACCP) Systems in Iowa Schools. Journal of The American Dietetic Association, 104, 180-185. Jevšnik M., Hoyer S., Raspor P. (2008). Food Safety Knowledge and Practices Among Pregnant and Non-Pregnant Women in Slovenia. Food Control, 19, 526–534. Lazou T., Georgiadis M., Pentieva K., McKevitt A., Lossifidou E. (2012). Food safety knowledge and food-handling practices of Greek university students: A questionnaire-based survey. Food Control, 28, 400-411. Memiş, E. (2009). Ortaöğretim Kurumlarının Yemekhanelerinde Çalışan Personelin, Öğrencilerin ve Öğretmenlerin Gıda Güvenliği Konusunda Bilgi ve Tutumları. Yayınlanmamış Doktora Tezi. Gazi Üniversitesi Eğitim Bilimleri Enstitüsü, Ankara. Newbold K.B., Mckeary M., Hart, R., Hall R. (2008). Restaurant Inspection Frequency and Food Safety Compliance. Journal of Environmental Health, 71(4), 56-61. Pragle A.S., Harding A.K., Mack J.C. (2007). Food Workers’ Perspectives on Handwashing Behaviors and Barriers in the Restaurant Environment. Journal of Environmental Health, 69(10), 27-32. Sanlier N., Bilici S., Çelik B., Memiş E. (2012). Food Safety Knowledge and Practices of Nursing Students. Italian Journal of Food Science, 24 (1), 86-93. Seaman P., Eves A. (2010). Perceptions of hygiene training amongst food handlers, managers and training providers – A qualitative study. Food Control, 21, 1037-1041.Subba Rao G.M., Suders- han R.V, Rao P., Rao M.V.V., Polasa K. (2007). Food safety knowledge, attitudes and practices of mothers: findings from focus group studies in South India. Appetite, 49(2), 441-449. Şanlıer N. (2009). The Knowledge and Practice of Food Safety by Young Adult Consumers. Food Control, 20, 538-542. TC. 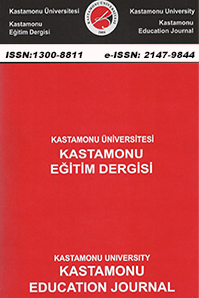 Gaziosmanpaşa Üniversitesi Yiyecek ve İçecek İşletmeciliği Bölümü (2013). Yiyecek ve İçecek İşlet- meciliği Bölümü Ders Planı ve AKTS Kredileri. <http://zturizm.gop.edu.tr/bolumDersAkts.aspx?dilI d=1&birimlerId=21&bolumlerId=150&menuKod=derplanakts> (2013, Kasım 07). TC. Gıda, Tarım ve Hayvancılık Bakanlığı (2013). Gıda ve Yem Hizmetleri.<http://www.tarim.gov. tr/Sayfalar/Icerikler.aspx?rid=123&NodeValue=123&KonuId=123&zGroup=0&ListName=I cerikler> (2013, Temmuz 25). TC. Ölçme, Seçme ve Yerleştirme Merkezi (2013). Öğrenci Seçme ve Yerleştirme Sistemi Sınav Arşivi. html> (2013, Temmuz 24- Ağustos 16). Walker E., Pritchard C., Forsythe S. (2003). Food Handlers’ Hygiene Knowledge in Small Food Businesses. Food Control, 14, 339-343. Wallace C.A., Holyoak L., Powell S.C., Dykes F.C. (2014). HACCP – The Difficulty with Hazard Analysis. Food Control, 35, 233-240. Yarrow L., Remig V.M., Higgins M.M. (2009). Food Safety Educational Intervention Positively Influences College Students’ Food Safety Attitudes, Beliefs, Knowledge, and Self-Reported Practices. Journal of Environmental Health, 71(6), 30-35. ISNAD MEMİŞ KOCAMAN, Emel . "YİYECEK VE İÇECEK İŞLETMECİLİĞİ EĞİTİMİNİN ÖĞRENCİLERİN GIDA GÜVENLİĞİ BİLGİ DÜZEYİNE ETKİSİ". Kastamonu Eğitim Dergisi 23 / 1 (January 2015): 269-280.